For most people an antique china plate, cup or saucer that’s been chipped, cracked or broken might be trash. But for Mary-Ann Wood it’s treasure. Wood is the owner of a business called DinnerWear Jewelry that uses designs cut from these fractured unfortunates and turns them into unique costume jewelry pieces, mostly necklaces, earrings, lariats and brooches. Wood works out of a spacious studio in Franklin, Mass., with hours by appointment, and is fast coming up on her 20th year in business, the last three of which have been dedicated full-time to DinnerWear Jewelry. Prior to that she split her time between jewelry design and the longtime family picture framing business, begun by her mother and father in 1968 and closed in 2015. Now, she has a loyal following, mostly the result of the arts and crafts fairs and other events she attends in Massachusetts and elsewhere in the region. Her fan base will only get bigger with the launch of a website, www.DinnerWearJewelry.com, that’s attracting new business. An expanded menu now features alternative bridal bouquets and men’s jewelry, mainly tie tacks and cuff links. It was then, as child, that she started her own personal collection of china. It should be noted that Mary-Ann grew up in a nurturing, art-filled environment. Her father, before he went into picture framing, was an engineer who helped build the New England Aquarium, among other projects. Her mother was a watercolorist who produced art and taught art classes at the framing studio. Through much trial and error, Wood taught herself how to cut the plates, carving out the bits she liked most. Not satisfied with just making broken-looking shards, she concentrated on enhancing the intricate details of each pattern. 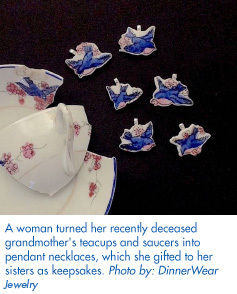 “I was hooked on the challenge,” she said, but in the end, she was still just sitting there with lovely little designs cut from china. “Now what?” she wondered. 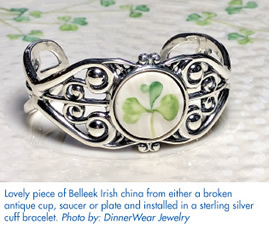 The process of turning a chipped or cracked piece of china into a beautiful, wearable jewelry item is, understandably, a precise and painstaking task. It’s one that involves many tools, each one serving a specific purpose for cutting different materials. These include saws, grinders, files and drills. It’s slow and delicate work. Each piece is cleaned in-between steps of hand-carving. Wood said it took her about a year and a half to develop her own style, “the free-form carving of the shapes”, and she’s entirely self-taught. One of her first notions was to create mosaics, but she said there were thousands of artisans already doing it, plus she decided glass just wasn’t for her. At any given time there are around 350 pieces in online inventory and inventory for shows. At times she runs across a teacup or cup and saucer that’s simply too beautiful and intact to cut. Those she offers for sale through an online business, www.VintageTeacupShop.com. Visitors to the site are then re-directed to Etsy, with whom she partners, to browse and make a purchase. Mary-Ann does a lot of bridal and wedding parties. DinnerWear jewelry makes a great gift for the mother of the bride or an accent item pinned to the bride’s bouquet. She’s also ventured into custom bridal bouquets, an alternative to traditional fresh-cut flowers. Her bouquets have flowers fashioned from family china, carved from the floral patterns on the plates, often with a jewelry piece, pearl or crystal in the center. 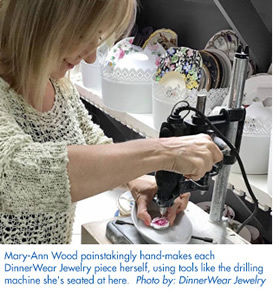 Wood gets helpful assistance from her husband, Mark, who goes with her to the crafts fairs and shows, setting up and tearing down the DinnerWear Jewelry display booths. Caity, her right-hand assistant, has the technical know-how that’s led to a substantial Facebook following. She updates the website, social media and Etsy listings, helps with promotions and manages things while Mary-Ann’s away. A part-time helper, Lisa, helps out at fairs and shows and pitches in at the studio, on an as-needed basis. “I don’t know what I’d do without their support,” Wood said. The prices for custom-made pieces are quite reasonable. They start at $78 for a pendant and $95 for earrings. “I use a lot of Swarovski crystal in my designs, so obviously the cost for those pieces is going to be higher,” Wood said. But when one stops to consider what they’re actually buying – a gorgeous family keepsake in the form of wearable jewelry – well, that’s priceless. For more information, or to make a purchase, please visit www.DinnerWearJewelry.com. Butter coffee is an ancient Tibetan formulation said to improve endurance, focus, motivation, and mood, and can even be used as a meal replacement and a pre-work out beverage. But this popular trend is not as simple to make as it might seem…it’s not just any butter and it’s not just any coffee. And it was back in 2014 when Grass Fed Coffee founder John "Sonic" Ban learned about the powerful benefits of butter coffee. A close friend of his had lost 40 lbs of fat in only 5 months, after drinking butter coffee and adopting the Ketogenic lifestyle. Shocked and intrigued, Sonic began making butter coffee every morning in place of breakfast. He immediately noticed a mental clarity and focus never experienced before, and his customary morning brain fog disappeared! Additionally, he felt satiated well past lunch time, with stable energy all day long! A few months later, Sonic observed his body fat had dropped significantly, and states that he even had a visible six pack*! The results were incredible, but Sonic was irritated by the time needed to make butter coffee every day, cleaning up after, and needing to restock ingredients and equipment. This was the beginning of Grass-Fed Coffee. Sonic’s mission was to create a product that would make the incredible benefits of butter coffee accessible and convenient for everyone, without compromising taste, quality, and functionality from the amount of grass fed butter and MCT (medium-chain triglycerides) oil. “We’ve spent the past 3 years sourcing the finest ingredients and crafting countless iterations of Grass Fed Coffee from our home base in downtown LA. It has exceeded our expectations in every possible way,” shared Sonic. To help bring their dream to market, they set up a Kickstarter Campaign in December 2015 and broke the record for “Highest Funded Non-Alcoholic Project" on Kickstarter, ever, as reported on their website. 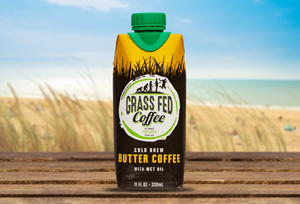 Grass Fed Coffee has spent the past year perfecting their mixture of organic, fair trade coffee extract, MCT oil, and sustainably-produced grass-fed butter that is high in vitamins, minerals, antioxidants, and healthy fats. Keto- and Paleo-friendly, Grass Fed is non-GMO, contains 0g of sugar, and five net carbs. 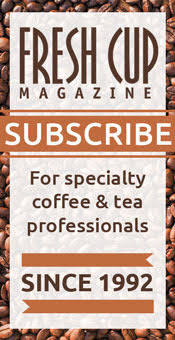 Grass Fed Coffee, last month, announced that it is now accepting online orders via its website, www.grassfedcoffee.com, and via Amazon.com in three-packs and twelve-packs. Currently in various SoCal storefront locations, this offering of online sales channels will make Grass Fed Coffee available nationwide. *Founder's results may not be typical. Everyone is different and results will vary depending on each individual person. Some may experience great results and others may not see any results. 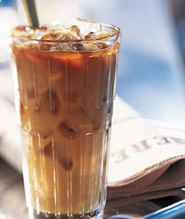 … that’s not really how it is done, but making delicious iced coffee at home is pretty easy. Just ask the pros at the Food Network who offer these simple instructions. Especially if you get your joe at a coffee shop, you're bound to rack up quite the tab for your daily fix of the good stuff. Luckily, it's easy to make iced coffee at home, proving that "cold-brew" is more than just another buzzword; it's actually the best way to get your refreshing caffeine buzz, as long as you have a little patience. To achieve the smoothest, least acidic (and best) iced coffee at home, go the cold-brew at home route. The tech-savvy folks at Softonic Solutions (a Q&A community for finding the best solutions to any problem) have looked at a variety of apps that help you brew the perfect cup of tea and/or teach you about tea. Here are their findings for the Top 3! 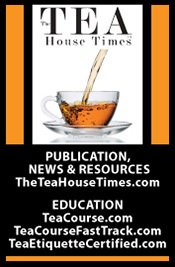 Tea is an app to learn about different types of tea and how to prepare them. 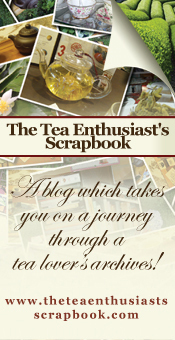 Includes an encyclopedia with more than 500 tea names, a smart tea timer and a note taker. Camellia is a simple tea timer in which you choose the type of tea you're going to take and know exactly how much time do you need to make it perfect. A perfect cup of tea is a useful app that let you know how much time you have to wait for your tea. 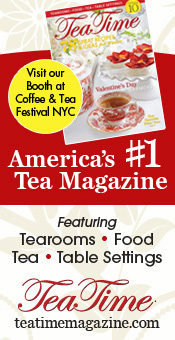 Includes 19 default types of tea and allows you to add others. 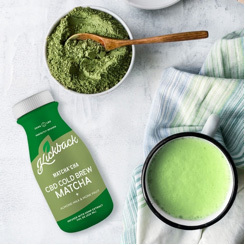 Kickback Cold Brew, a Los Angeles-based company, recently announced a new line of Cannabidiol (CBD) infused cold brew tea beverages for consumers. These new beverages will be immediately distributed to Southern California markets and are also available on their website. The cold brew teas follow suit with the original cold brew coffees by using organic and vegan single-origin ingredients along with organically extracted CBD. 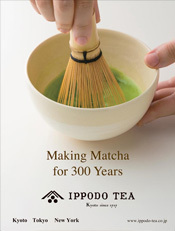 The new tea flavors also have distinctive names: Matcha’cha & Just Peachy. As per their names, one is a matcha-based drink along with almond milk, monk fruit sweetener, and CBD. The other is a black tea based beverage with peach, ginger, and honey. Both flavors are cold brewed and lightly sweetened similar to its original sister flavors. The company also released a new coffee flavor as well, Coffee Date, which has their signature cold brew coffee along with coconut milk, and tunisian date syrup mixed in. 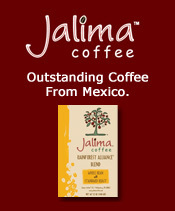 Their original coffee flavors were also renamed during their beverage haul– Golden Cashew and The O.G. 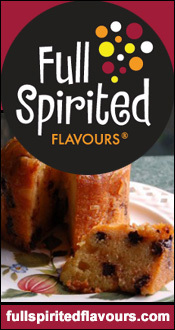 flavors use the same recipe, but consumers may notice an enhancement in the flavor. During their rebranding process, the Kickback team explored other variants of Cannabidiol to use in their ready-to-drink cold brew beverages. Initially using CBD oil, they now add 20mg of water-soluble CBD in each of their drinks. Kickback Cold Brew is the first company to use an organically extracted CBD from the hemp plant, and Real is confident that there’s no turning back. Their website has a store locator page for visitors to find their cold brew at nearby locations, including Erewhon Markets and Backyard Bowls. For consumers who are not in the Southern California region, the CBD-infused coffee and tea can be purchased through their website.